When it comes to the real estate sector, there are various kinds of services which you might need to opt so that you can cater to their specific needs. For instance, when you are looking for a home or when you have decided to sell your property, you need the assistance of real estate agents. They can buy or sell your property. Why You Should Choose Building & Pest Inspection Services? With the help of their services, you can get the tasks done with the help of qualified and experienced professionals. Along with the real estate agents, it is always advisable to hire professionals for building and pest inspections. One of the first reasons why you should look for building and pest inspector is when you are buying or renting your home. With the help of the professionals, buyers or tenants who are interested in your property can do a thorough examination of the property before investing in it. Along with the same, a neat and clean property can also help you get a better deal on the property. Needless to say, inspections can quickly fix the issues of your home. Another reason why you should opt for such services is when you are selling your property. As a seller, you definitely want to make the most of the investment. Therefore, you should consider all the aspects and ensure that they all are in good condition. 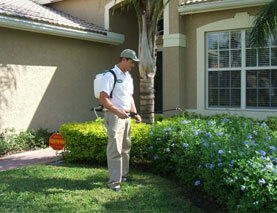 With the help of professional pest inspector, you can find those parts which can be easily replaced. Furthermore, getting an inspection report ensures the fact that the house is absolutely safe and secure. Thanks to the building and pest inspection services! They can also increase the safety of your home. When you are selling or renting your home to someone, safety is one of the most important factors. Keep all these excellent tips in mind to choose the best professional for building pest inspection. Previous PostObtain Spider Control Services In WA To Eradicate Spider ReproductionNext PostHow To Find The Best Spider Control Inspector?